It’s looking more and more like the 2020 Hiace is the worst kept secret at Toyota. After being spied on top of a car carrier, photos of Toyota’s people carrier have just surfaced on the internet and these are our clearest look yet. With its global launch looming soon, the new model, dubbed H300 looks to have sprouted a nose, abandoning the cab-over-engine design that’s been a hallmark of this commercial van model since 1967. This new design will undoubtedly provide better safety while also improving driver comfort. The leaked photos show a 13-seater configuration for the new Hiace. Likely the base Commuter or mid-grade GL Grandia, it shows individual headrests and 3-point seatbelts for everyone onboard. An even bigger surprise is that the front-view of the dashboard shows a left-hand drive configuration, further fueling the speculation that the 2020 Hiace will debut in the Philippines and Japan at the same time. A clean, square-cut dashboard with dual SRS airbags, a dash-mounted 12-volt powerpoint, and rotary air conditioning controls are the visible features. 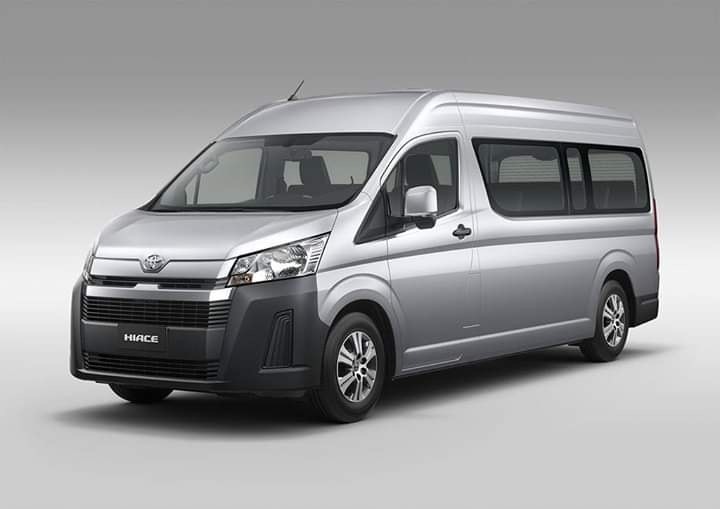 Along with the leaked photos, the 2020 Hiace’s main dimensions have been revealed: it will be slightly longer (4,790 millimeters versus 4,695 millimeters) and shorter (1,965 millimeters versus 1,980 millimeters). It will retain its width at 1,800 millimeters to comply with Japanese design laws. Interestingly, its wheelbase has been stretched to 2,985 millimeters—a significant 415-millimeter growth. 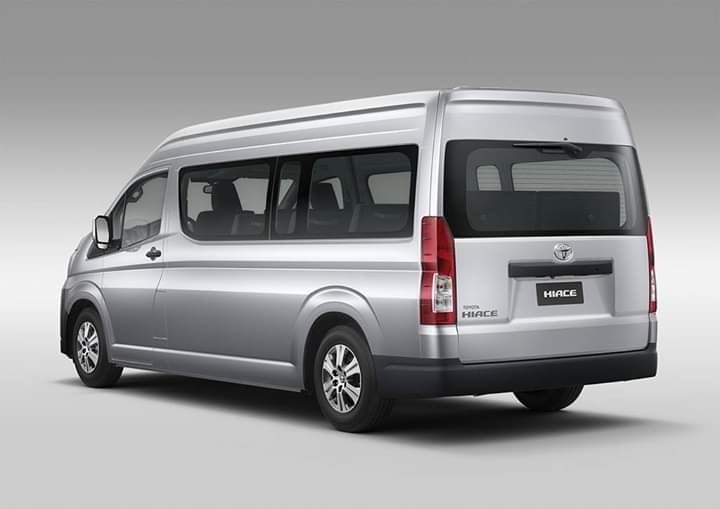 Heard on the grapevine is that the Philippines will get the short wheelbase model first because local dealers are running out of stock to sell, particularly the Commuter and GL Grandia models (most arrivals are the Super Grandia and Super Grandia LXV). Now, what about the drivetrain? Currently, the bets are on the same 2.8-liter 1GD engine currently in use in the Innova, Hilux, and Fortuner. As such, it will likely have anywhere from 171 to 177 horsepower and 360 to 420 Nm of torque. However, it is possible that Toyota will simply carryover the 2.5-liter or 3.0-liter engine, especially if the 1GD engine is destined for Euro 6 markets. Nice new design. Engine is place under the hood instead of place under the front seats, shorter height and better looking Van. Hope that it will be equipped with the GD Diesel Engine and fairly priced one. A direct rival of the Hyundai Starex. Nice move Toyota! Be ready Hyundai Starex. This will be beating you considering that your base models are very ugly. Lack of safety features and weak engine on Starex GL Variants.